Detailed Info Page for 3C273. 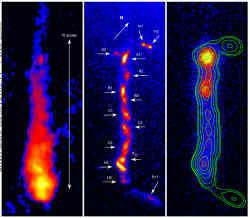 Part of inner optical jet recently detected by A.R. Martel et al. 2003, AJ, 125, 2964. Infrared counterpart detected by Uchiyama et al. 2006, ApJ, 648, 910. The data for this page were last modified on Fri Jun 29 12:31:26 2012.